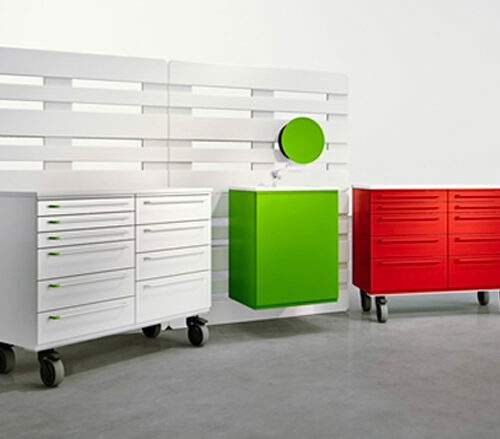 Since 1973 Dental Art designs and manufactures cabinets and furniture for the dental industry. Exclusive and personal Design, often unusual matching between classical, natural and synthetic last-generation materials, ceaselles innovation in its suggestions, are the special peculiarities of our products, whose implementation can rely on a creative team keen on architecture and harmonious development of the rooms. Research, customer service, high tailored manifacturing and talent in designing and interpreting the customer’s needs from a different perspective: strong company values that contribute in giving Dental Art a key role in the international dental field. Dental Art, as you can guess from its name, was born to supply the dental field, but in our catalogue you can also find products for other fields (like beauty, chemical analysis labs, etc), as well as for civilian use. A corporate philosophy that looks towards solid principles and values. A strategic choice to make the Made in Italy label its distinguishing feature. A strong tie with its territory. A “zero-kilometer” manufacturing process, with 90% of suppliers of the raw materials from the local area and with entirely in-house management and the strictest quality control standards. A social and ethical accountability. This, too, is Dental Art. 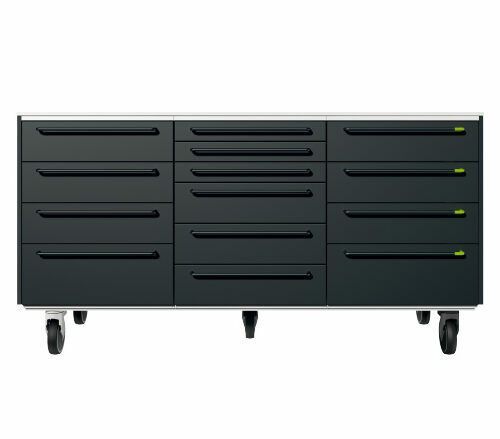 Dental Art presents Ecco!, the new modular system with a hip look and price, easy to choose in its standard colours and configurations. Bring a touch of fashion to your surgery with the best Italian design. Its simple beauty and modern, sleek design will win you over at first sight. What makes it outstanding is the green tag on the handles that makes Ecco! a unique and original unit. Ecco! 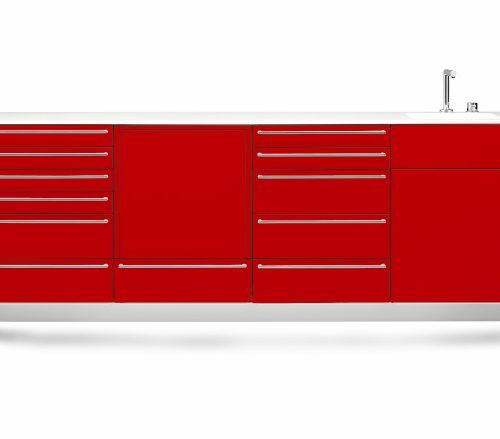 stands out for its essential design that hides an innovative spirit and a personality out of the ordinary, which emerge right from the first time you use it. 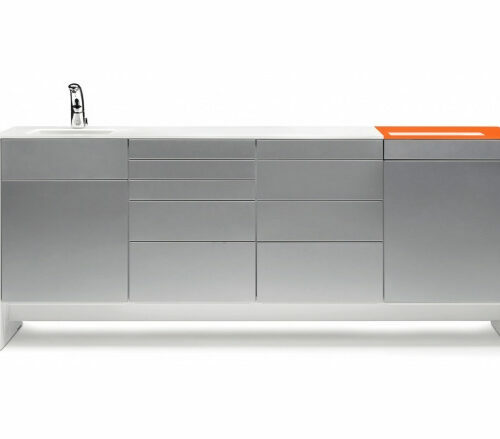 When you open its drawers, you will be surprised by the colour of the seals and of the drawer inserts. An exclusive feature resulting from Dental Art’s creativity. You can easily picture Ecco! in any surgery, whether you are thirty-year-old, or celebrating your thirty-year career. Available in standard or custom versions. You can choose between the two standard colours, white and mat grey for the fronts and handles, or you can choose other colours, whichever you like! A good 2 standard colour palette you can choose from…or all the colours you want. Easy! Epta is expandable, adaptable, and as flexible as you like. In addition to a wide range of modules and accessories available in the catalogue, Epta can be customised in colours, shape, and setups. It really meets any requirement. Clean, rigorous, and brave. Epta’s lines don’t go unnoticed and can be recognised anywhere. The same lines that broke the mould when they were created are now a source of inspiration for all those who work in this industry. Essential shapes, bold design, vigorous signs. Epta’s groundbreaking design is like nothing before or since. Pure even in its substance. 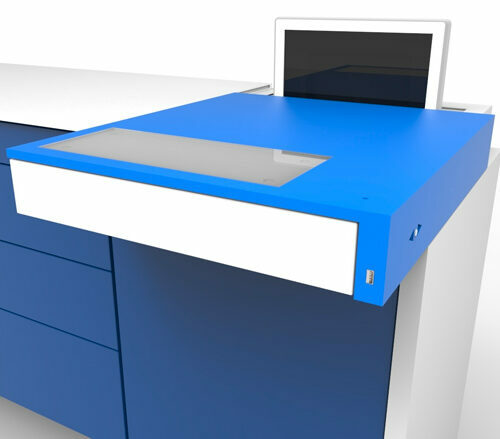 From its washable and sanitisable materials to precise manufacturing choices, such as its drawers with anti-dust brush and rounded internal corners, Epta is designed to allow for easy cleaning and perfect hygiene. All this ensures deep purity. Epta becomes Epta Movï. 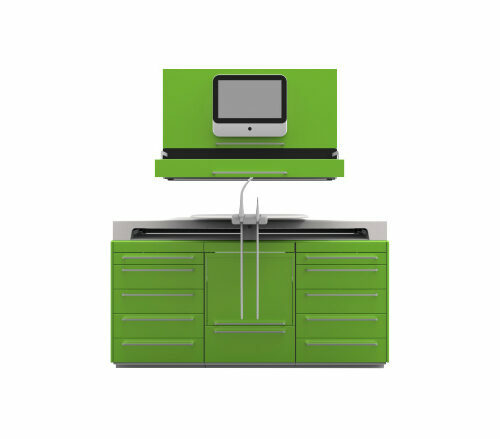 The worktop makes room for the monitor, the safe compartment opens up by swiping the coded key over the sensor, and the electric drawers open with a simple touch. Epta makes the dreams you didn’t even know you had come true. Video pop-up monitor and keyboard appear and disappear, according to your needs. More room and more order, together. Pc wi-safe slide the coded key on the sensor and keep your computer safe. Touch sensitive, no handles, just surfaces. Thanks to the one-touch opening. Avant, state of the art method, designed for the most demanding professionals, who always strive for the best and want to be ahead. Mobile dental tray with built-in saliva ejector holder. It allows both the physician and the assistant to move freely and perfectly adapts to any approach: right-handed, left-handed, two- or four-handed. 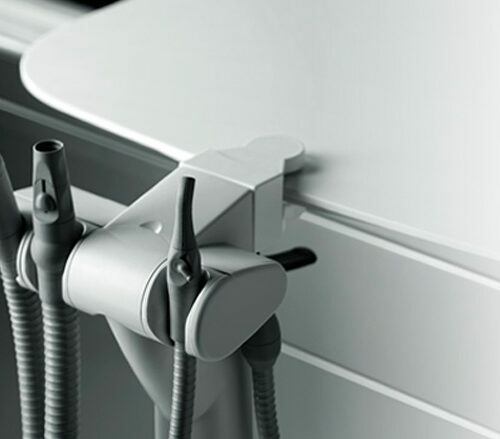 Organisation and hygiene, Avant has been designed to make the work easier. 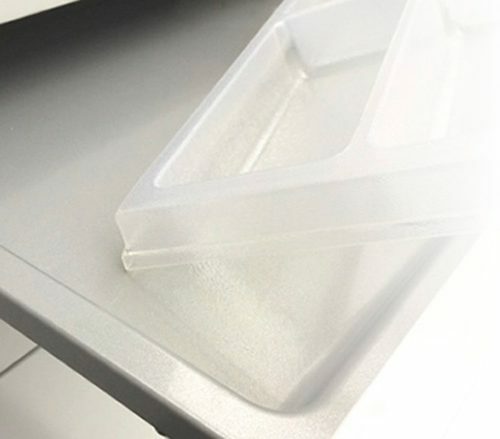 The available cabinets for Tubs and Trays allow for a rational organisation of space and arrangement of the instruments; all this translates into perfect organisation and maximum hygiene. Avant was created to last over time. As all Dental Art products, the high quality of the materials enables the unit to resist against stress and repeated movements during intense everyday use.